Signs Etc. has been a local independently owned sign shop in Meridian, Id for over 20 years. There are not a lot of other stores that can say this and we credit it to our outstanding customer service and high quality work. We have state of the art equipment for large format digital printing, laminating, and cutting that allow us to manufacture signs, banners, or car wraps in house using the best techniques and quality control processes. Because of all the unique equipment we have it allows us to make things that other shops cannot. 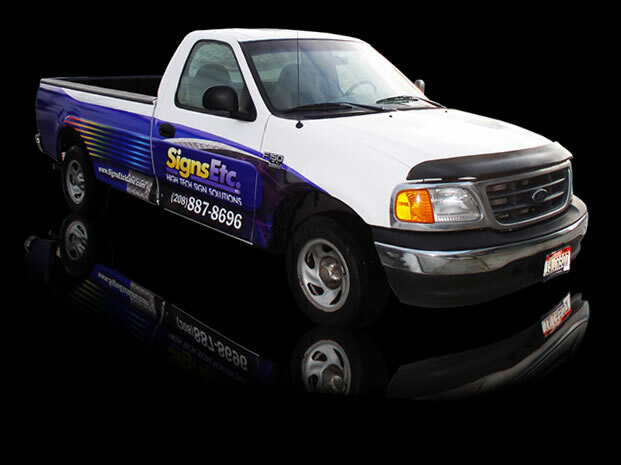 We also use high quality 3M vinyls and other products to ensure that your banner, vehicle wrap, or decal will be durable and hold up for a long time. Check out our portfolio page to see some of our work and get an idea of the possibilities for things we can make. Our products will help enhance the image, reputation, and exposure of your business. Bring us your best ideas and we will make them a reality.